The Tannheim Valley has hundreds of attractions and destinations for day trips. You could easily spend months travelling around and exploring them all. We’d like to warmly recommend the following ones to you. Particularly if you’re spending just a few days with us at Guthof Lutz holiday apartments, you are in for an amazing holiday experience. Even regular guests of Tannheim Valley can’t get enough of it. A true paradise – for adults and children alike. A fantastic way to cool down nearby. Just half an hour’s walk from Guthof Lutz and you’re there! A plunge into this natural gem surrounded by magical marshlands is not only refreshing, but is supposed to be very healthy too. This is where we spent our summers and learned to swim back when we were kids. Amazing views and culinary highlights. This hike starts on the doorstep of Guthof Lutz. 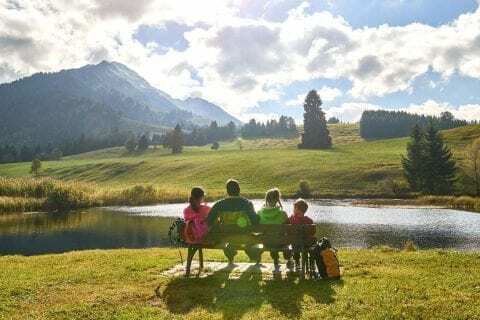 One of the most beautiful family hikes will take you through quaint hamlets down in the valley all the way up to Berghotel Zugspitzblick. Berghotel Zugspitze is an incredibly beautiful spot. Not only can you enjoy the stunning views of the Zugspitze, you will also get to see a large herd of deer. Your mountain adventure is a stone's throw away. 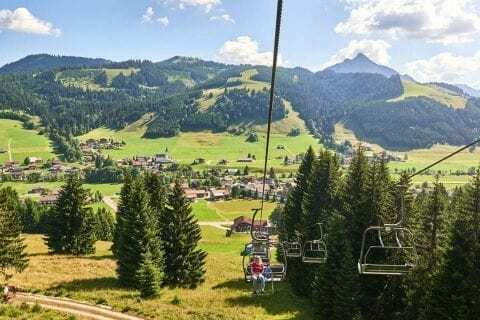 The Wannenjochbahn chair-lift valley station is just a few steps away from Guthof Lutz. Following easy and moderate mountain routes you’ll be rewarded with fabulous panoramic views over the Allgäu and across to the Swiss Alps all the way to the Zugspitze. 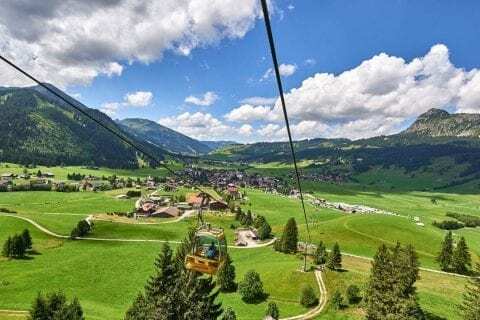 As you know, the chair-lift (cable car) is free for guests of Guthof Lutz in the summer. 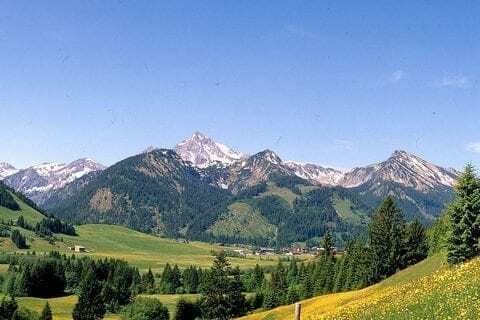 The Allgäu region never ceases to attract visitors. Given that Guthof Lutz is situated at the gateway to the Allgäu, crossing the border to visit our neighbour is an obvious option. Just a short drive by car will take you to alpine cheese dairies, dramatic gorges, mining museums, gorgeous lakes, the wonderful town of Füssen, Bavaria’s famous royal castles and so much more. Recommended by Guthof: Bavarian beer is magically attractive and the Allgäu region is awash with breweries. Rettenberg alone, which is very close by, has two: So why not pay a visit to the breweries Engelbräu and Zötler Bier – cheers! Perched high above the lake resembling an eagle's nest. If you’re physically fit you can go by mountain bike. Others may prefer to make their way on foot up to the Adlerhorst (1,350 m). Once you’ve accomplished the climb, you are rewarded with one of the most magnificent views of the valley with the emerald-green Lake Haldensee.